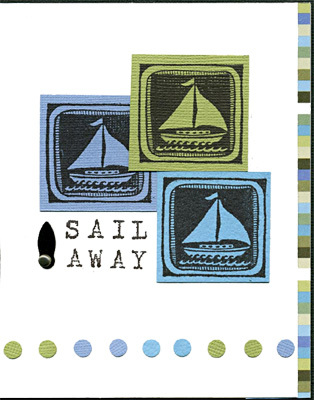 Stamps Galore’s “Mimbreno Katydid” and “Mimbreno Cricket” are stamped in black on green “Slab” scrapbook paper with white swirls. 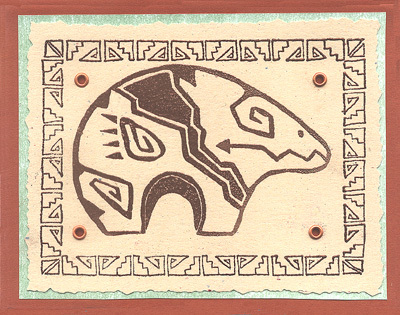 The turtle stamp is unknown. 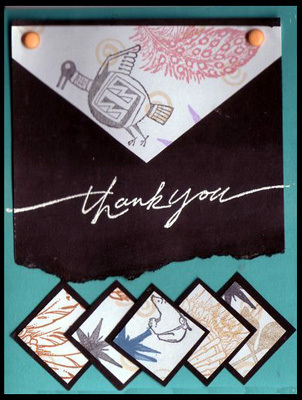 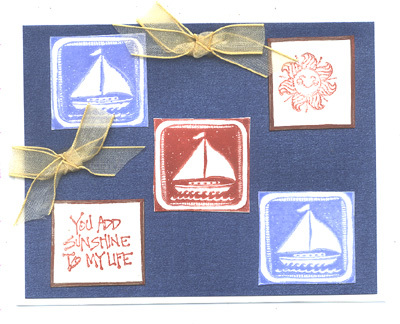 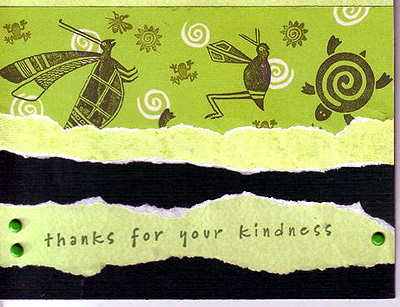 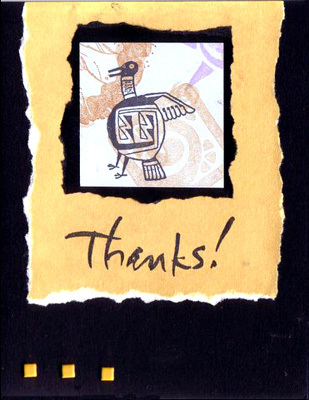 Small stamps are by Meer Image and “thanks for your kindness” is by Stampin’ Up! 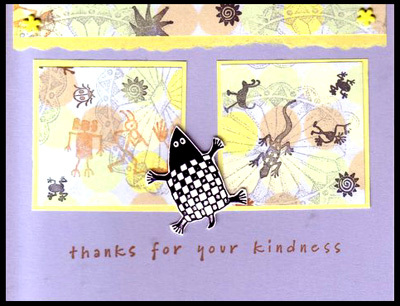 Card by Vi Fisher. 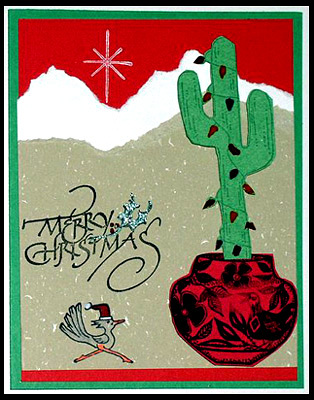 Stamps Galore’s “Christmas Cactus” and “Roadrunner with Christmas Hat” are used in this card. 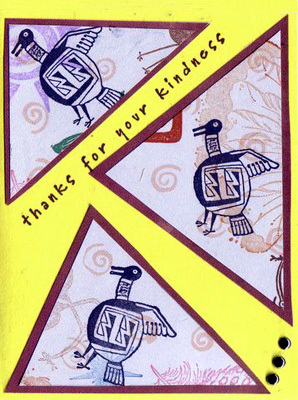 Other stamps used in this card are “Pottery” – Rubber Stamp Ranch, “Merry Christmas” and “Christmas Star” – Rubber Stampede. 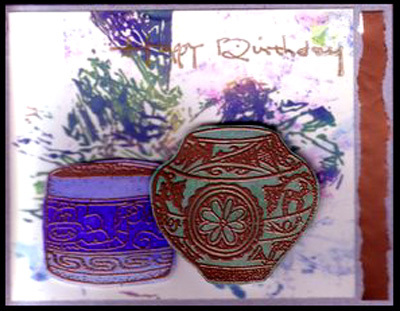 Card by Vi Fisher.